Smartwatches have smartly superseded regular watches by proffering features like a smartphone. A bunch of industry pioneers stepped into contributing towards development of smartwatches. Google designed operating system Android wear dedicatedly for smartwatches, which got a new name Wear OS by Google with some modifications. Smartwatches mitigated the need to carry your smartphones without compromising style and comfort. You can pick calls, messages and emails directly through it. Android wear smartwatch became smarter with wear OS apps to make your life effortless. So, to keep you from aimlessly hunting through heaps of Android Wear Apps, we have picked some of the best Android wear apps you can install right now. AccuWeather has been a leader in weather forecasting services. Accuweather provides live reports and weather alerts along with daily global and local weather forecasts. The app works seamlessly on your Android wear smartwatch with its compact and lightweight design. Current weather conditions, wind speed, cloud analysis, precipitation and AccuWeather RealFeel are some unique features that set AccuWeather on the peak of leaderboard. Sometimes we feel a bit colder or warm than the actual temperature outside, Accuweather RealFeel widget tells you how you will feel actually in the current weather. AccuWeather is known for their precise predictions of weather upto a week. They are revolutionizing the world by furnishing delightful experience on the fingertips. Most awarded transit navigation app Citymapper can be a great travelling partner with your Android wear smartwatch. Our Android smart watch comes with in-built GPS functionality. You don’t need to pull out your smartphone every 100 metres while driving. Citymapper comes with step-by-step direction and alerts to avoid delays and disruptions while travelling. It compares all the transit modes like Bus, train, subway or bike for your journey. The app comes with cab and bike sharing availability options. Install this wear OS app Citymapper today! Single-tap functioning and start-stop through voice commands offers extreme comfort to runners and joggers. The app monitors all your fitness activities like running, jogging, cycling or walking and provides insights of distance covered, calories burned, time, speed and much more. Runtastic Pro has a global fitness community and you can become a part of it. You can share your stats on the app with other people in this community. Scoring good on the leaderboard can be the ultimate source of motivation. You can challenge yourself with a race. Isn’t it really cool, to book a cab through your watch? Well! Uber made a debut on Android wear smartwatch with full-functional booking of cabs for commute. You just need to sign in once through your smartphone and from then and there you can hire a cab through your wrist. Android wear smartwatch comes GPS connectivity and Uber can detect your location through your smartwatch. The app will show the estimated time of arrival and the amount to be paid just like it does in smartphone. At present, Uber is the only commute service available on Android wear smartwatch. Get this Android wear app right here! It is best to-do-list app for Android wear smartwatch. Wunderlist is a way too handy Android wear app which allows you to make instant notes and to-do lists. Just say ‘Ok Google! Make a note to get a cake for Amy’s birthday’ and in microseconds a note for the same will be added to Wunderlist. For an upcoming event or task, you will get notifications directly on your Android wear smartwatch. You can manage tasks and reminders directly through this Android wear app. The grace of technology is getting enhanced day by day. 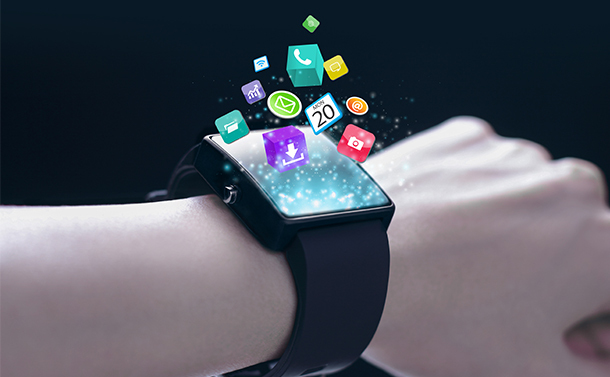 There are still functionalities which are limited to smartphones and need to be implemented in smartwatches. If you think any alternative to these Best Android wear apps, then do let us know.